Helped my heart to get back to normal. Feel Great! It was recommended by my doctor and Ive been using it for 3 years. Your body's functioning relies on the possibility that certain processes or events could slow you down. Like a car's gas task‚ you have a finite amount of natural energy that is controlled by certain functions‚ and you do have the possibility of nearing a tank that is close to empty. 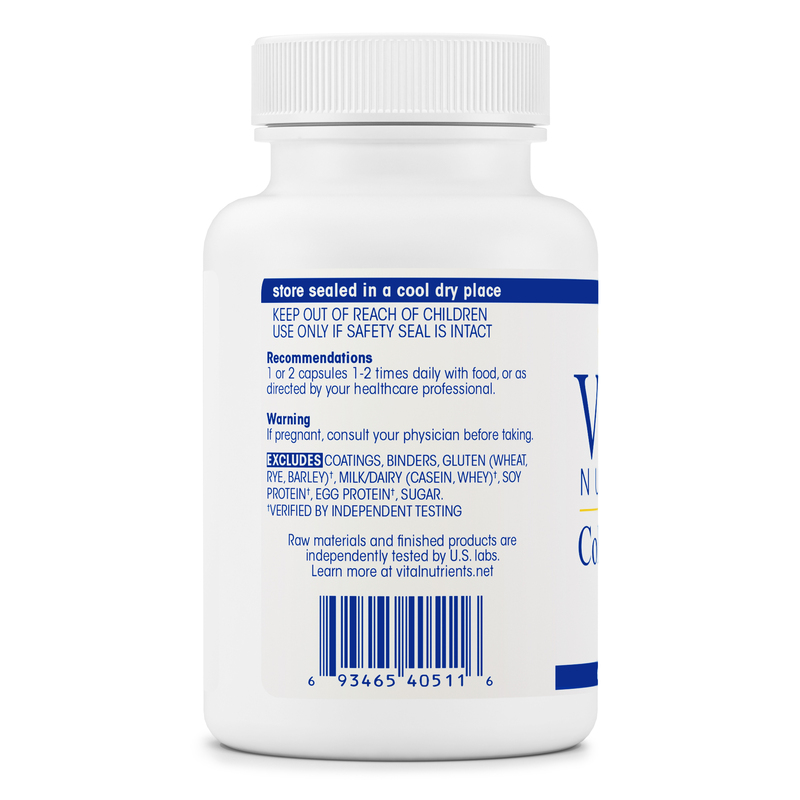 Support your body with a dietary supplement to give you the wellness boost that your body desires with CoEnzyme Q10 100 mg 60 capsules by Vital Nutrients. CoEnzyme Q10 has the ability to be created in the body. It is a vitamin-like substance that is oil-soluble and present in eukaryotic cells of the body. Its main areas to be found in are in the heart‚ kidney‚ liver‚ and pancreas‚ although it is to be found in every cell in the body. In the cells‚ it is sued to produce energy that your body utilizes for cell maintenance and growth capabilities. CoEnzyme Q10 can act as a powerful antioxidant against lipid peroxidation‚ working to rid the body of harmful free radicals that may threaten cell walls and membranes. It also may be able to work to support blood sugar levels already in the normal range‚ as well as work in the cell metabolism process. as a coenzyme‚ Q10 may also help with making sure enzymes in the body are digesting food properly and helping in the protection of muscles and organs. 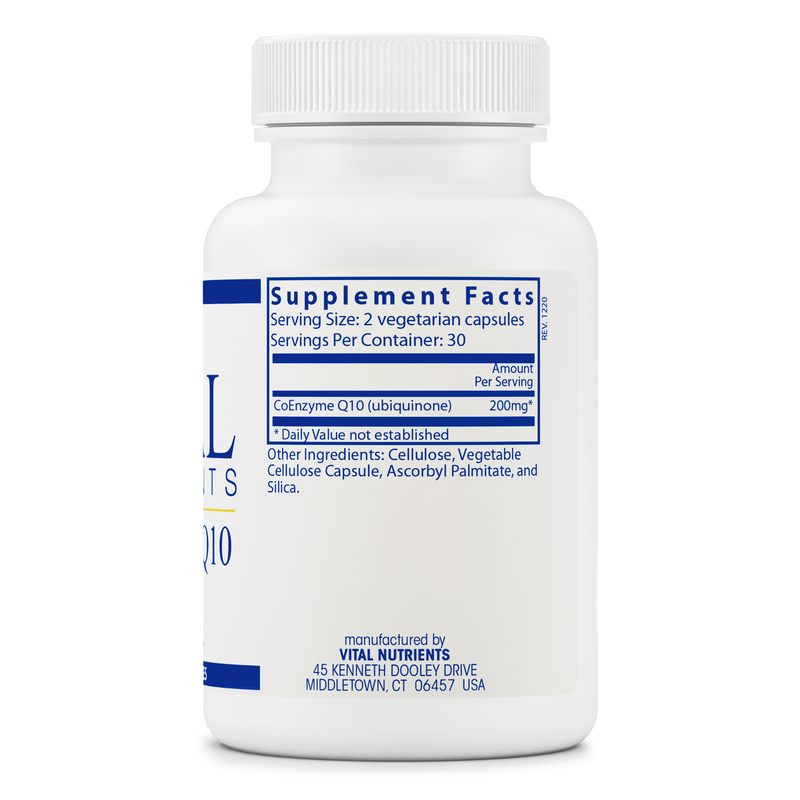 This supplement by Vital Nutrients has been independently tested for several different criteria including potency‚ authenticity‚ yeast and mold counts‚ solvent residue‚ and stability and bacteria. 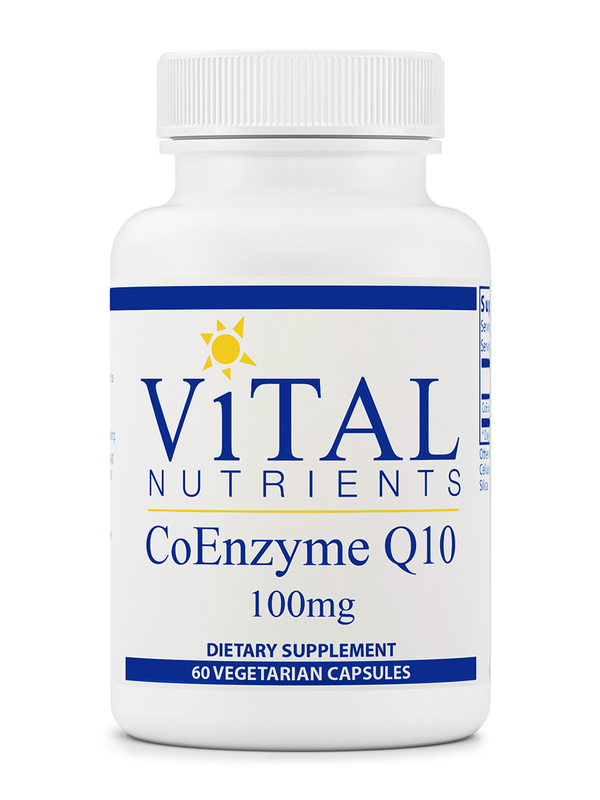 Each 60 capsule bottle of CoEnzyme Q10 100 mg by Vital Nutrients has a recommended dosage of 1-2 capsules 1-2 times daily with food‚ or as recommended by a healthcare professional. Other Ingredients: Gelatin capsule‚ cellulose‚ ascorbyl palmitate‚ and silica. 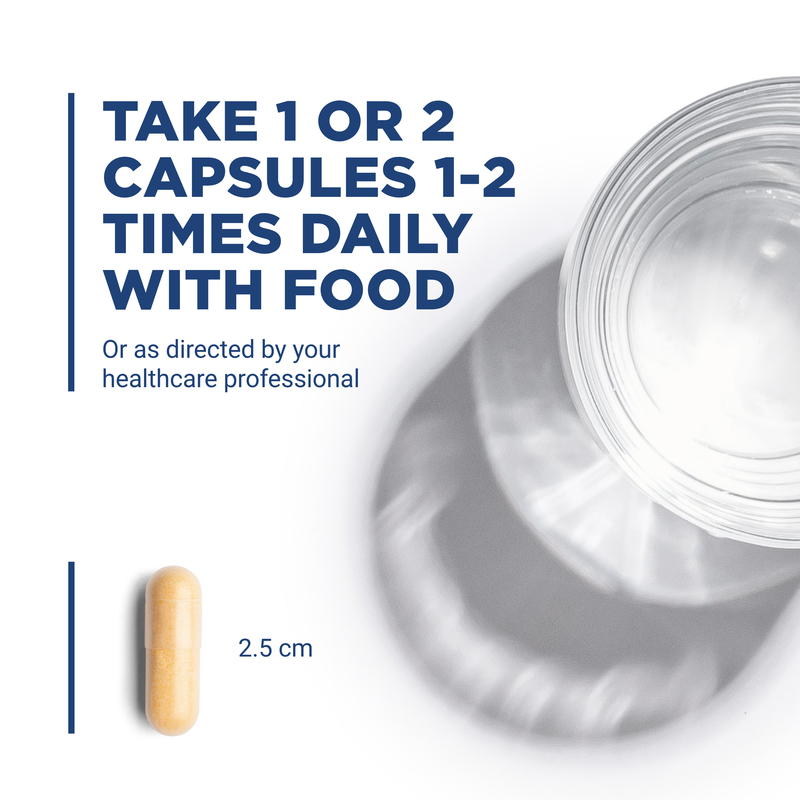 1 or 2 capsules 1 to 2 times daily with food‚ or as directed by your healthcare professional. I take a prescription for high cholesterol and my Naturapath has prescribed CoEnzyme Q10 from Vital Nutrients. She says she trusts the Vital Nutrient brand. It is important to take CoQ10 because statins deplete your natural supply. Helps to maintain a strong heart.